If you’ve been following my blog, you know I’m a big Jane Austen fan. So I was thrilled to hear about these deeply flattering words of praise from the Historical Novel Society. Want to read more of the nice things being said about You May Kiss the Bride? Click here. 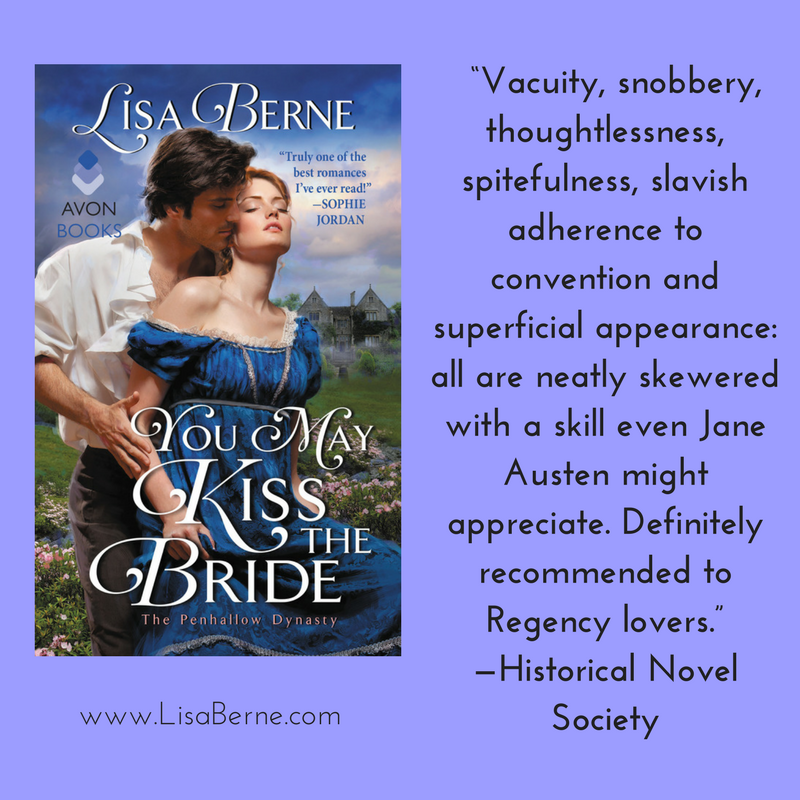 So pleased to share with you this lovely review for You May Kiss the Bride from RT Reviews! Click here to see more of the nice things that are being said about You May Kiss the Bride. 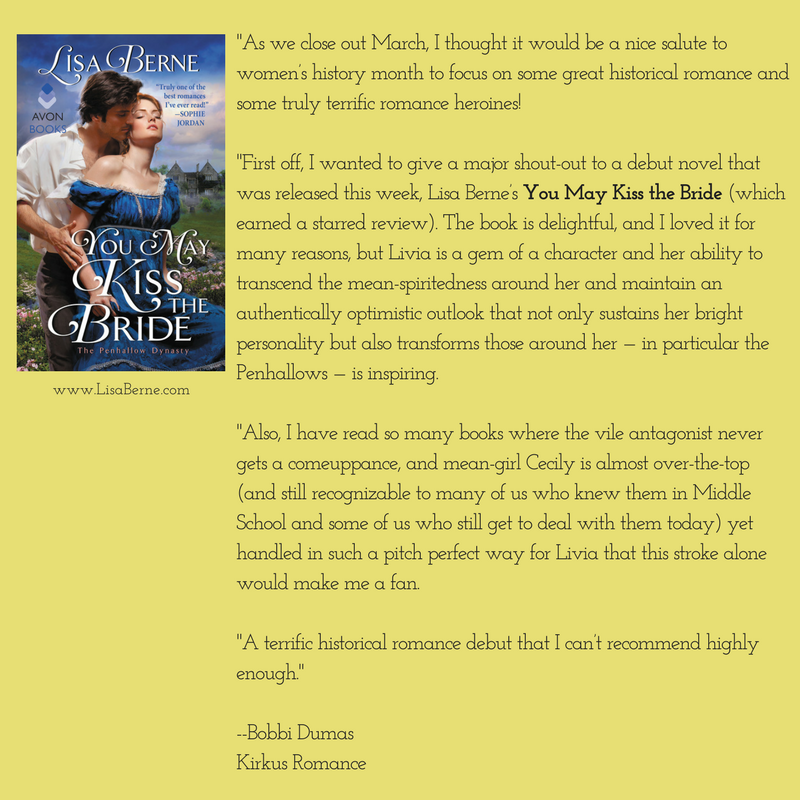 Thrilled to share with you this starred review from Booklist for You May Kiss the Bride! A Barnes & Noble top bookseller pick! So happy to share with you this great news about You May Kiss the Bride. And more, if you like, about You May Kiss the Bride here. Bustin’ my buttons — to employ a charming old-school expression — at this post by Bobbi Dumas on her Kirkus blog. I especially love Ms. Dumas’ comments about my heroine, Livia, and her nemesis Cecily (whose unpleasant machinations never quite work out the way she intends them to). And speaking of buttons a-bustin’, click here to read the starred review Ms. Dumas mentions. Also, would you like to order You May Kiss the Bride? Click here to see your various options. 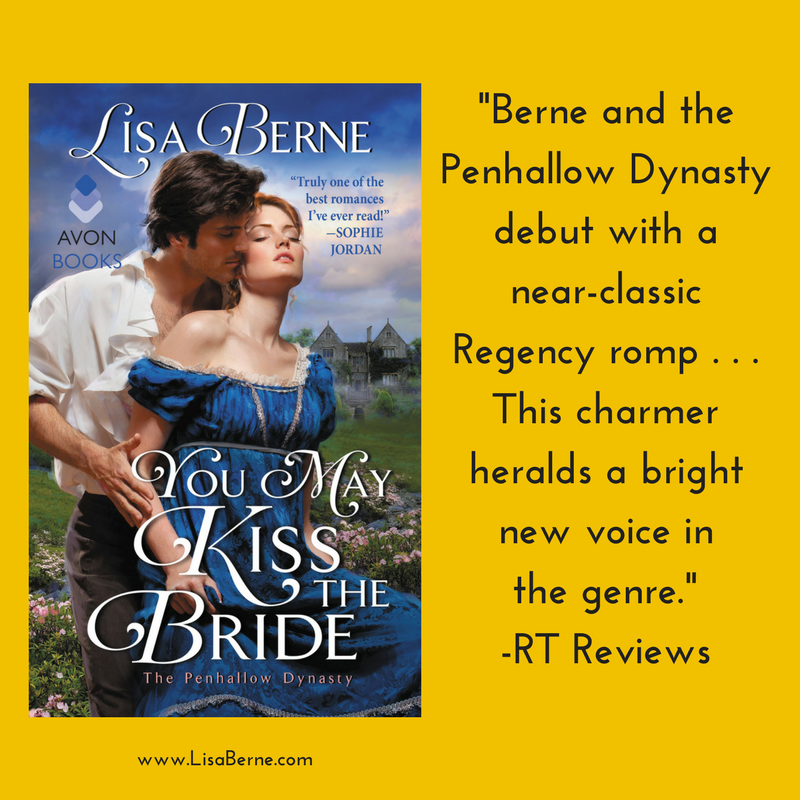 To celebrate the publication of You May Kiss the Bride — yesterday! wow! 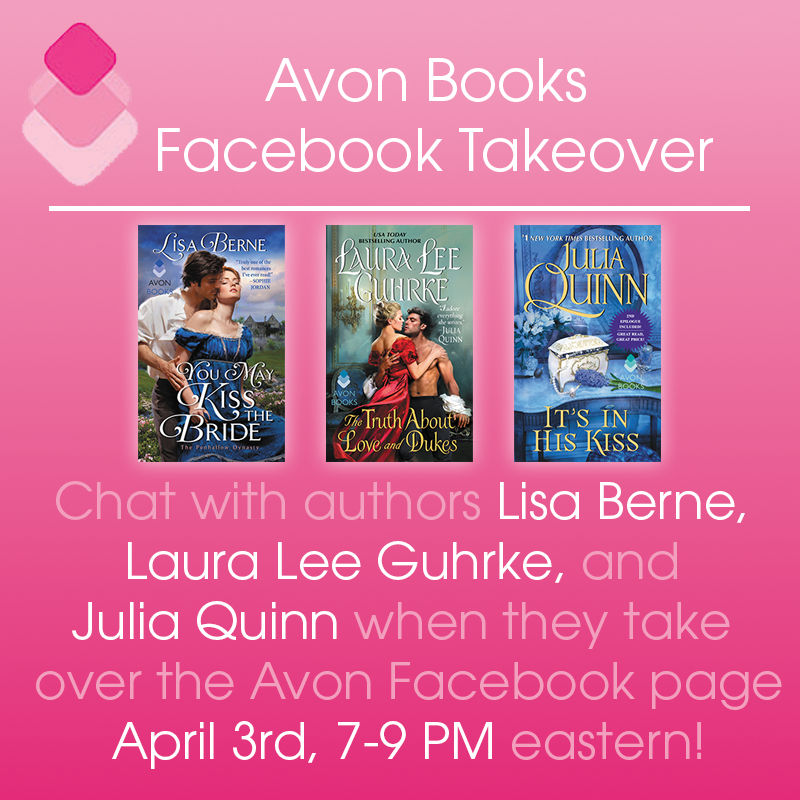 — Avon Books and Tasty Book Tours are hosting a virtual tour, featuring excerpts, reviews, a Q&A, and a giveaway. Click here to check it out! 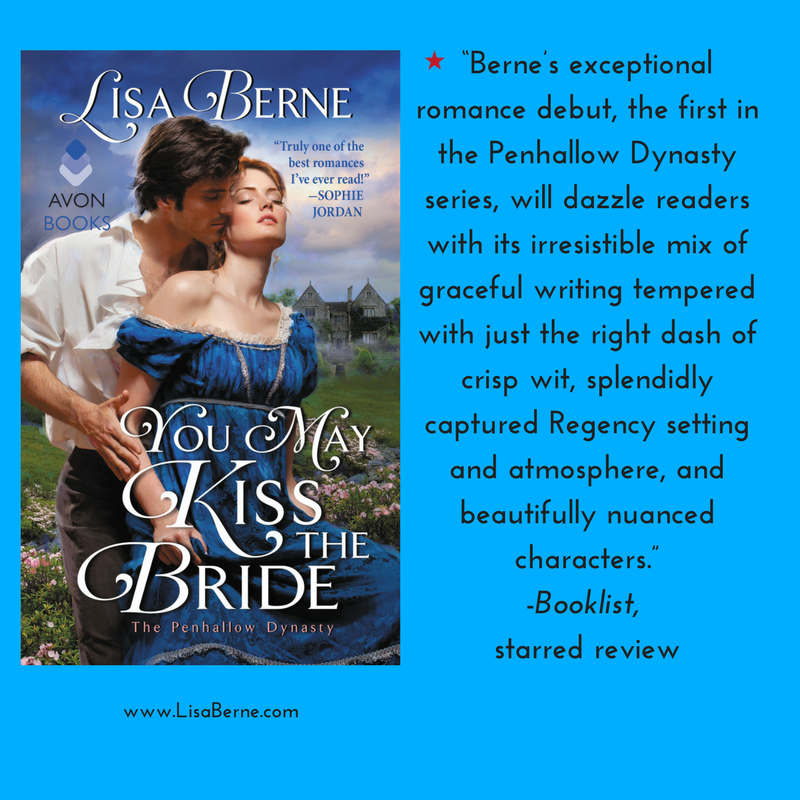 It’s release day for You May Kiss the Bride, the first book in the Penhallow Dynasty series! Picture me throwing huge handfuls of confetti up into the air! If you’ve preordered — thank you! — you’ll be able to start reading/listening today. 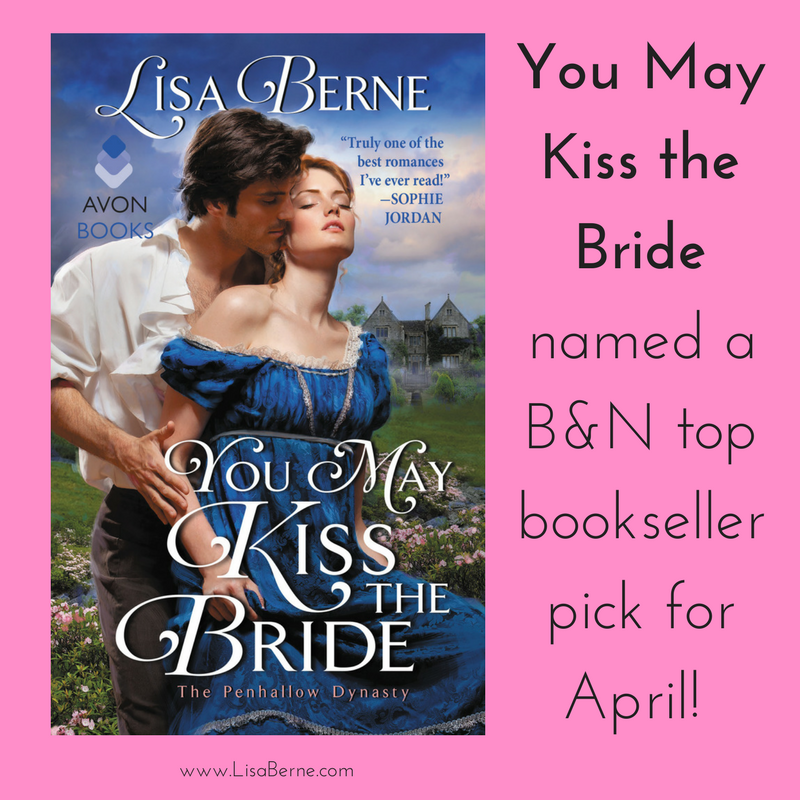 And if you’d like to order You May Kiss the Bride, click here to see your various options for print, ebook, and audio. A couple of price drops . . .
. . . for You May Kiss the Bride. I don’t know how long they’ll last, but Amazon has discounted the price of the paperback edition, and so has Target. For more info about You May Kiss the Bride, click here.